I am constantly reflecting and all the joys and sorrows of last year, trying to drag out another lesson to make all the blood, sweat and tears seem worth it. 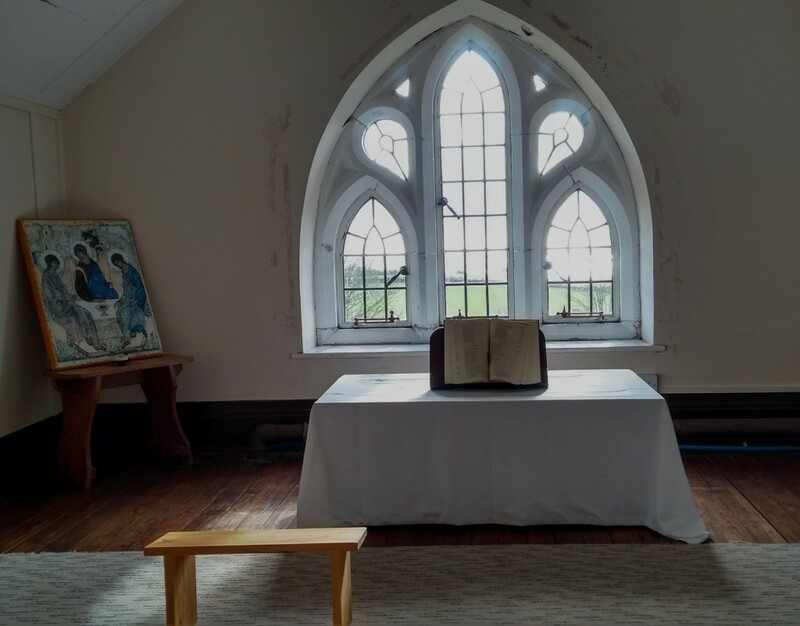 About this time last year I was holed up in an old convent in Cornwall, wondering why on earth I’d thought a silent retreat was a good idea. It was one of the toughest weeks of my life - right up there after the death of Grandparents but slightly before that one week when I was 15 and convinced that all my hair was falling out and I'd be completely bald by 17 (THE TEARS). In that week of solitude I was stripped of scaffolding - no friends to talk to, no social media to update, no work to attend, no music to sing and dance along to and no books to transport me to far away lands. I didn’t have to check in with my people and see how their week was going, I didn't even have to decide what to cook. All that was left was the truth of who I was without all those things to validate my worthiness of life/time/attention/love or distract me from the lack of it. Naked, vulnerable, weak, sinful, deprived and broken. And yet, I've realised that that place of nothingness can be the birthplace of freedom. Because in that place, God holds a banner over us for all the world to see proclaiming that we are loved and we are valued - despite all things we would rather hide and all the things we are too ashamed to even acknowledge. There is nothing, absolutely nothing, we can do to earn God's love or make God love us more - not pray our way there, not read our Bible more, not attend church more, not go to The Gambia and not even give away our very last Rolo. You are worthy, simply for being you. Without realising, I'd let a notion of earning worthiness creep in and set conditions around something that has always been extravagantly wild and free. Who I am without my scaffolding is enough. Who you are without your scaffolding is enough. Nothing from your past can change that, nothing in your future can steal that; not our fears for today or our worries about tomorrow. Whether we are high above the sky, in the deepest ocean or on a silent retreat, nothing in all creation will ever be able to separate us from the love of God that is revealed in Christ Jesus. Being rooted and grounded in God's unwavering love for us in our place of nothingness can give us the power and confidence to live free from fear - of the judgement of others, of tomorrow, of the valley of the shadow of death, of loneliness, of looking like a fool and yes, free of even the fear of Brexit. Life in all its fullness transforming nothingness into a place of JOY - you know the place - beautiful sunrises over the mountains, a fridge full of lemon tart (made with fairtrade lemons and no palm oil, obvs and dancing for joy along to your favourite 90s pop and 00s indie rock songs. I pray that Christ will be more and more at home in your heart as you trust in him. May you be rooted and grounded in the soil of God's marvellous love. And I pray that you have the power to understand, as all God's people should, how wide, how long, how high and how deep God's love really is. May you experience the love of Christ, though it is so great we will never fully understand it. Posted in Life. Tags: Cornwall, Henri Nouwen, Love, Scaffolding, Silence, Solitude on 21 March, 2019 by SherlyH.